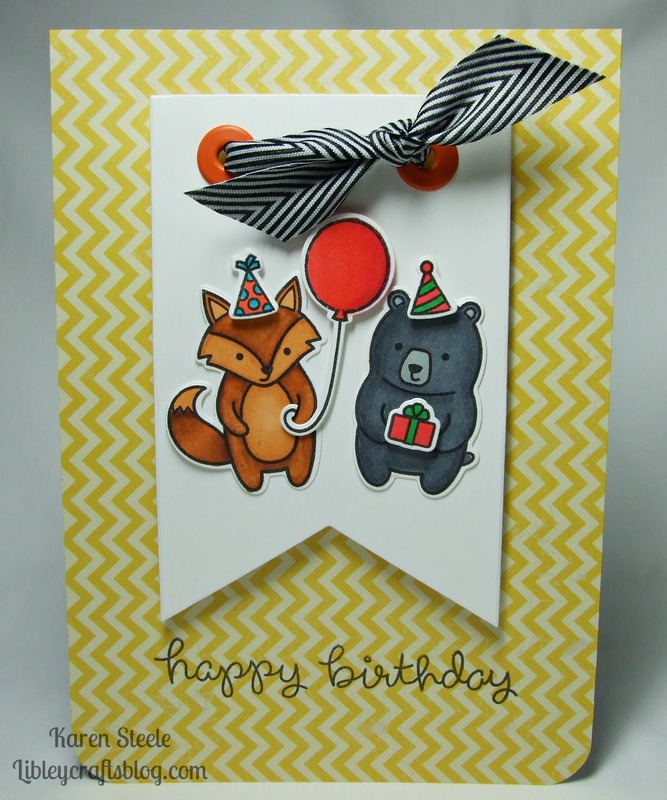 I also used Spectrum Noirs to colour, Sizzix Banner Die, WRMK Cropodile and Grommets, ‘Boy Crazy’ by My Minds Eye and black and white grosgrain ribbon. This is so Ultra Cute! Your coloring is OUTSTANDING!! 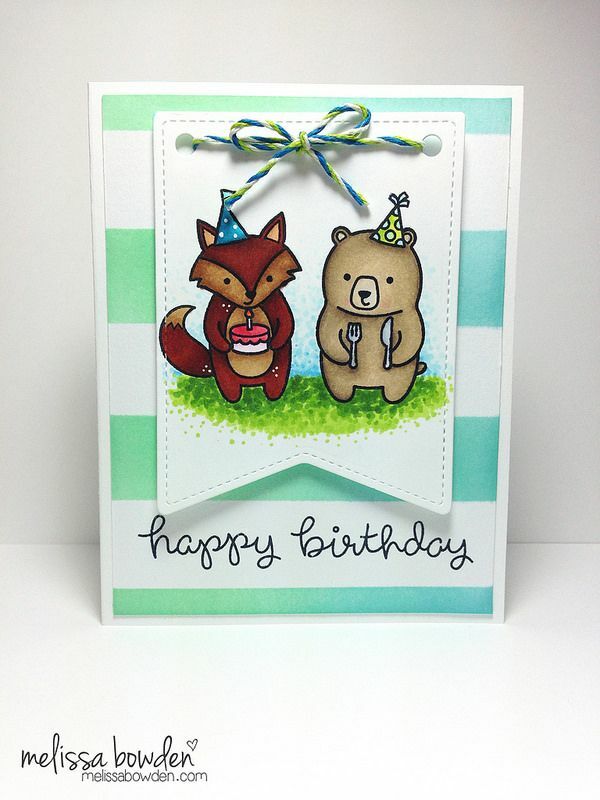 This is precious – I love these little critters what I fun set and your coloring is fantastic! In my family we have a tradition of making a Birthday cake for Christmas eve dinner – after we eat, we light up candles, sing happy Birthday to Jesus, and let all of the kids blow out His candles. So…. you technically could have made this for Christmas in my estimation 🙂 Haha! Great card! Oh, I do love those little party animals! 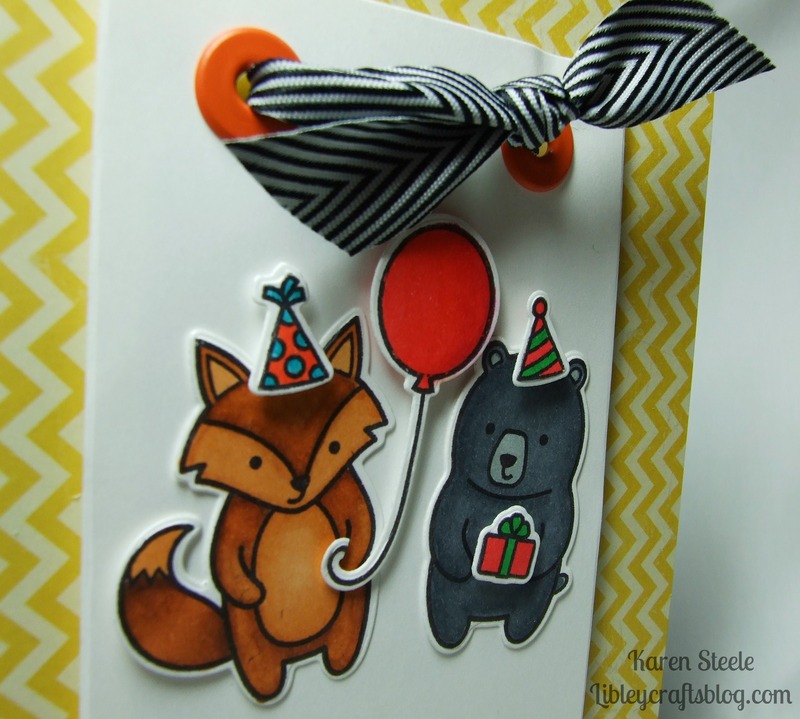 Such a darling fun card!! !